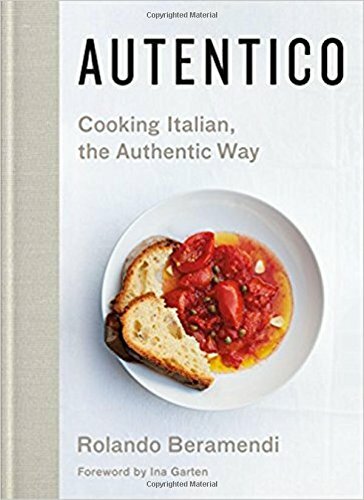 Of all the recipes I've cooked from this book the one pictured here is one of my favorites —the Tuscan Ragù, My Way (Il Mio Ragù alla Toscana). Its success relies on the use of quality extra virgin olive oil, and plenty of time to give the soffrito and ragù time to caramelize and transform into an intoxicating sauce with depth and complexity. I kept putting off making this recipe because I never have basil, and the blanching seemed fussy. But the blanching is great—it takes off the raw edge, but retains some of the snappy crunch. The dressing was great and the pistachio-zucchini combo was almost meaty. Very satisfying. What a fun treat. I’ve long wanted to make Roman-style gnocchi. I love the pillowy semolina (it was quite the effort to stir), and the browned bits of butter and cheese. This dish is truly impressive. Make your soffrito ahead and the rest of this dish comes together super easily. Flavors are rich, complex, and surprising.